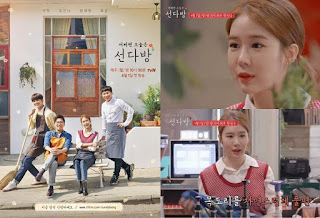 Yo In Na`s Secret Tips for Dating - On her new reality show on TVN "Blind Date Coffee House", Yoo In Na shares date tips for blindates. She said that if you would blindate you have to use many layers of clotes. If you are woman, you may use scarf and shows that you`re really interesting on your couple. After you sat for the moment, you can take off your scarf and exprese yourself that you are comfort with him. Also Read :Yoo Byung Jae Drawing Contest With Extravagant Prize By YG Ent. Yoo In Na also said that if you were man, you can use your western-style shirt with untie one button of those. By thaht so, you can show your different side and got her intention. She said that those are important thing in blind date. It`s important that you are not showing your great side only on first meet. Blind Date Coffee House is new varitey show on TVN, airing every Sunday 10.30 pm KST.